A friend is going through a particularly tough time at the moment. Her emblem for strength is the Western Australian ‘Boab Tree’ found in the Kimberley. Some of these trees are known to be more than 1500 years old. They live in a harsh environment and store thousands of litres of water, and are almost entirely edible, some parts with medicinal properties. There is strong mythology around these trees in the Aboriginal rock art and Dreamtime Stories. The trees are known for surviving and providing sanctuary in the harsh outback Australian landscape. These qualities are amazing, no wonder my friend identifies with them as her personal motif. 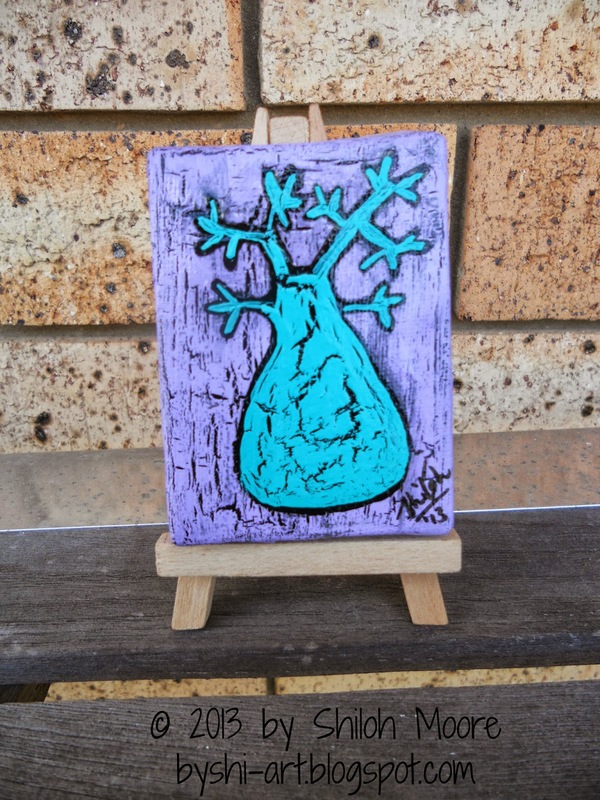 So I painted this tiny mini canvas for her, experimenting with crackle medium. 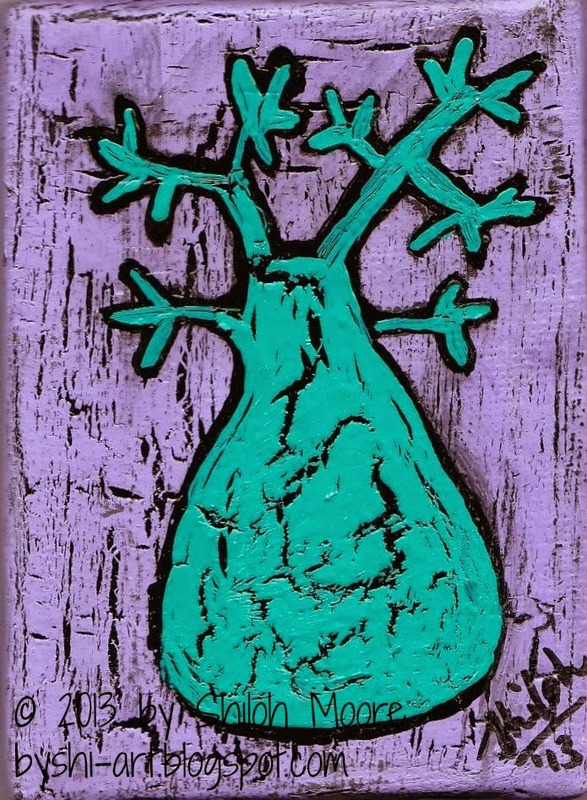 I chose the green for the tree, to represent life (Boab trees are not green), but I’m worried it makes it look more like a cactus than a Boab! But hey, here I’ll use some artistic licence! it does not look like a cactus if u didn't tell I would have paid it definitly is a boab, love the colours. What a relief! Thank you so much 🙂 They're two of my favourite colours. Thanks for commenting!